Sadly the grim predictions (see 1 & 2) are coming true. 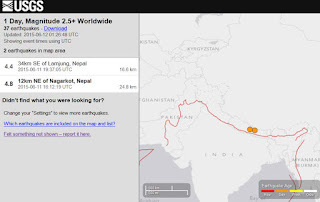 Even as Nepal continues to be rocked by aftershocks (map) landslides triggered by rains have killed more than 41 people in the north east of the country. The worst part is the rains are not due to the SW monsoons which are yet to arrive over the region and are caused by the numerous western disturbances which have been sweeping down the Himalayas. 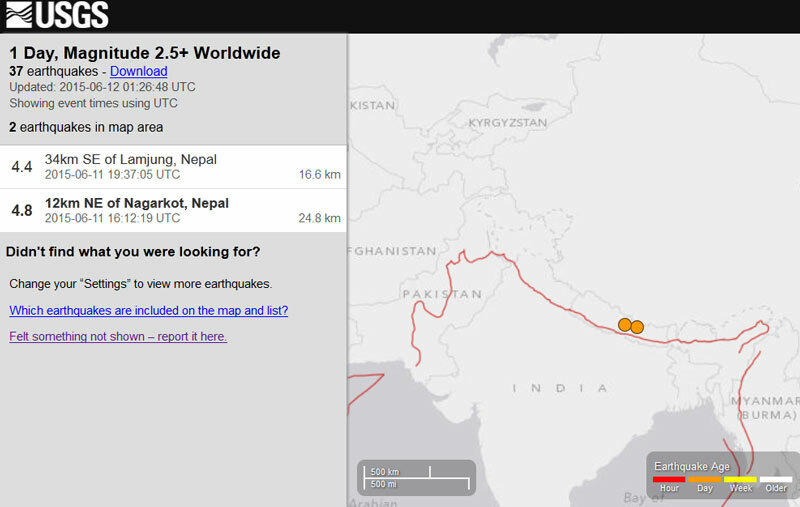 I have been tracking these rain clouds daily, wondering in helpless bewilderment when the misery of millions affected by the quakes and now the landslides, in Nepal will end.